Are you looking for a more exciting fitness option? Kickboxing at American Family Fitness is here to fill that void. Fight your way to a healthier you today! There are many ways to make fitness more fun, and kickboxing is one of the most sought after. With kickboxing classes at American Family Fitness in Midlothian, you get the benefit of cardio training as well as strength, balance, and coordination. You will be able to jab, kick, and bob/weave your way to a fitter lifestyle. Start learning how to defend yourself today! With kickboxing group classes at our Midlothian gym, you can expect an exciting total body workout that combines cardio, boxing and martial arts for improved strength, coordination and balance. Life can be so hectic and busy. 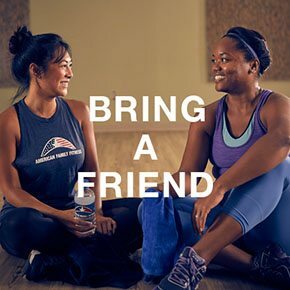 Our health club in Midlothian offers this high-intensity, self-defense workout throughout the week for your convenience. 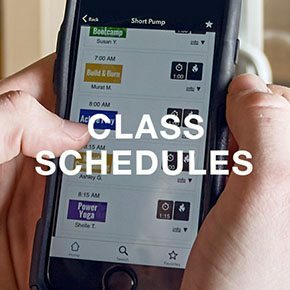 Visit our Class Schedules page to find the class that works best.